Meet "Cleo" the Unicorno from the Tokidoki line by artist Simone Legno. 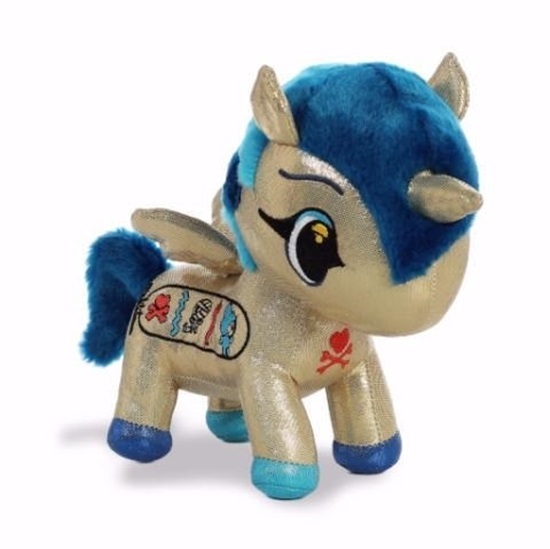 "Cleo" is 8.5 inches tall and is made up of a soft shiny gold plush with a soft blue mane, and tail. Different shades of blue adorn each hoof. Detailed embroidery on the right side adds to the charm of this little unicorn. "Cleo" is perfect for all ages.